ed or donated to the VVIK before or after 1960. 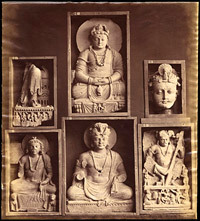 The collection includes rare books, recent books and journals, archives from the collection VVIK, Sanskrit, Tibetan and other manuscripts, Tibetan block prints and Abklatschen, a photo collection and a collection of glass plates. The Kern collection is renowned worldwide.